I can't believe my baby boy is 10 years old! 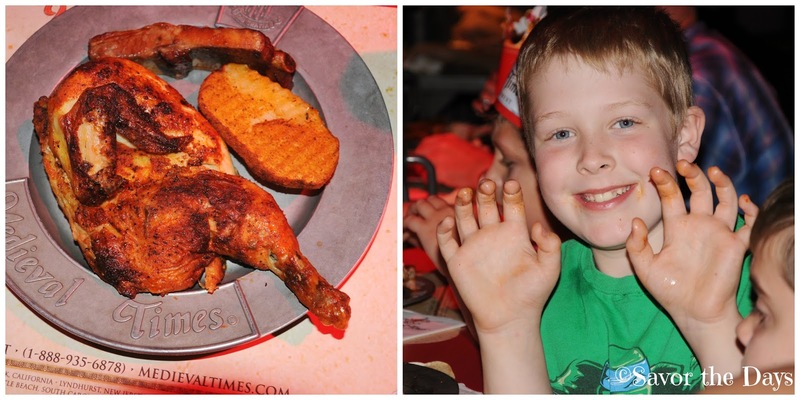 He decided to have his party at Medieval Times Dinner and Tournament. Before the event, we met up with friends at a local park. We provided foam swords for their own sword fights then enjoyed some yummy cupcakes. Rachel managed to end up with two swords and used her dress as a sheath to hold them. After playtime at the park, we packed the van full of boys and headed to the Dallas Castle. Stuart and Rachel followed along in the truck. Party time! We are ready for some jousting! It was great having such good friends share in Nicholas' special day. He only invited his closest friends, one of which he has known since he was about 2 years old. Of course the food was amazing! Chicken, ribs, potato. No utensils needed....just lots of napkins! There is a great story line to the show complete with the king, princess, chivalry, good guys and bad guys. 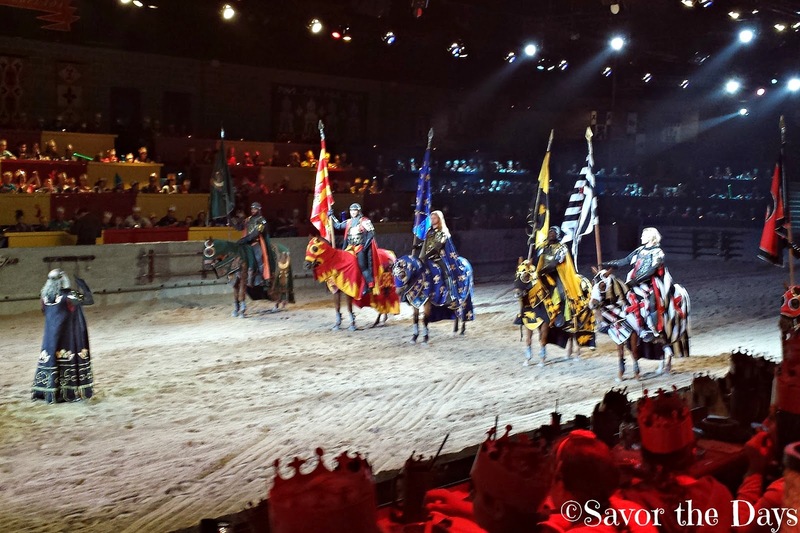 We were cheering for the red knight. He had thrown 2 flowers to Rachel. One of the boys asked to see one of the flowers and Rachel was more than a little upset at how it was returned to her. Ah, boys will be boys! 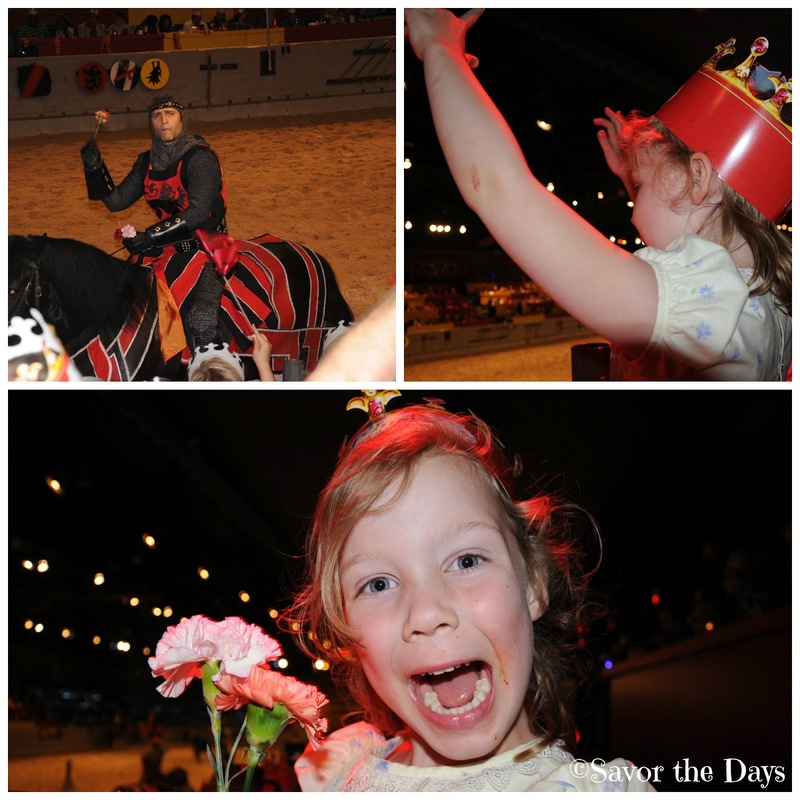 But our knight was her hero and she ended up catching another flower from him to make it three for the night! You go girl! What a cool group of knights! 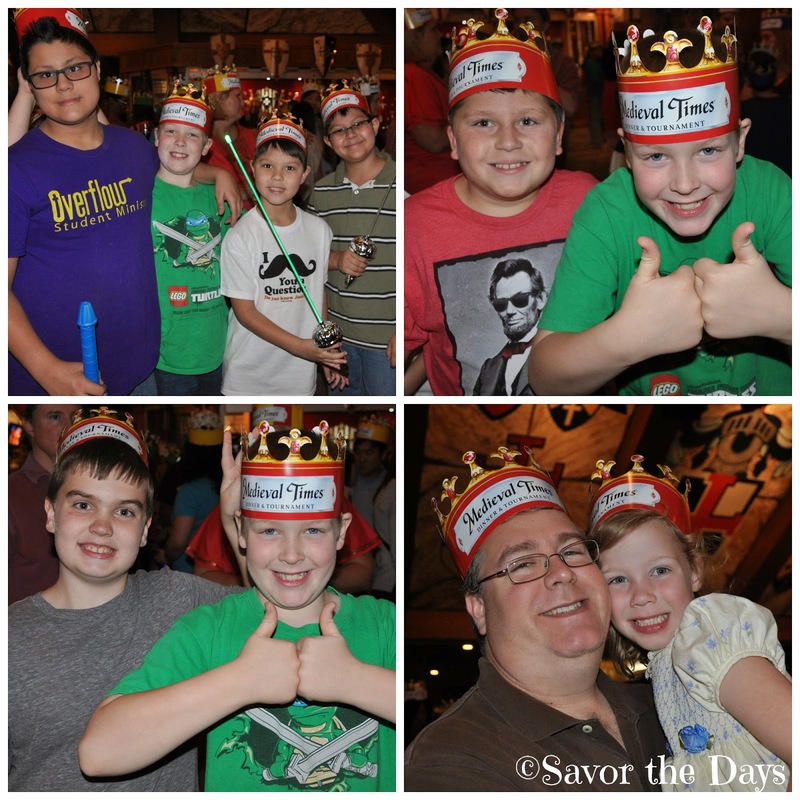 As always, we had a great time at Medieval Times. We brought everyone back to the house where the sword fights continued until the boys' parents picked them up. What a fun way to share your birthday with your bestest buddies.